The SAT and the ACT are both college entrance exams that may be required as part of the admission process at colleges across the United States. The ACT is also given to all 11th grade students in Nebraska as part of the statewide assessment of student progress. Lincoln Public Schools has chosen to have all students in 10th grade take the PreACT as preparation for the statewide ACT testing in their junior year. The PSAT is an optional practice test for the SAT and is given each year in October. The PSAT is also the entrance exam for the National Merit Scholarship Competition when students take it during their junior year. The PSAT is often taken by highly-motivated 10th grade students as a practice exam for the PSAT during their junior year. Both the PSAT and the PreACT are excellent ways to practice and prepare for the SAT and ACT. Fee waivers are available for the PSAT, SAT, and ACT for students who qualify for free or reduced-price meals. Students who have a documented disability and received accommodations for that disability at school may be eligible for accommodations on the ACT, SAT, PSAT, and PreACT as well. 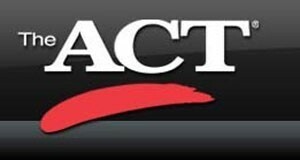 ACT and/or SAT (optional Saturday testing as needed for college admission – students register online independently). For additional information please contact your school counselor.